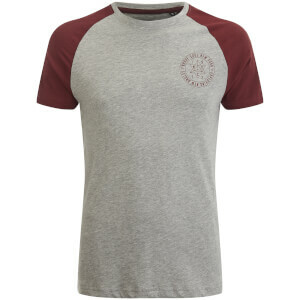 Men’s grey baseball top from Brave Soul. Crafted from a soft cotton blend, the ‘Osbourne’ long sleeve top is detailed with khaki raglan sleeves, contrast flatlock stitching around the neck and stitched ‘V’ detail below the neck. Complete with a ribbed crew neck.